For centuries, humans have used dogs as protection for individuals, families and assets. Although there are many dog breeds that are good for protection, some are better at understanding just one owner, while others are very good around families with children. The World Canine Organization recognizes 339 breeds of dogs in the world, however, when it comes to credible protection dogs, the list is dramatically shortened when you consider trainability and temperament. We consider German Shepherds to be at the top of the list of best family protection dogs. 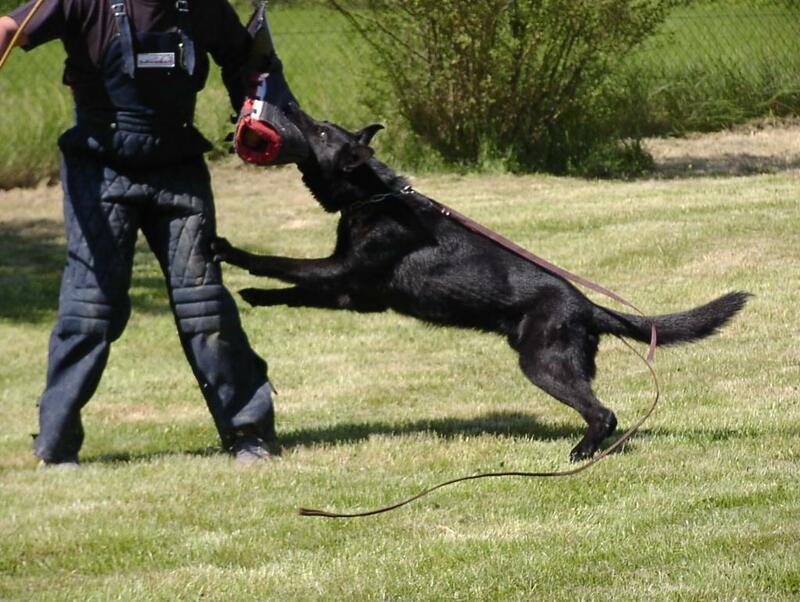 This is due to their strength, intelligence, trainability and obedience. German Shepherds are often the preferred breed for many types of work, including disability assistance and search-and-rescue. But when it comes to guard and protection roles, they are often the first choice among individuals, families, police, security and military. German Shepherds are intimidating in their appearance, responding to a command on a moments notice, while also gentle and loving in nature. They are large strong dogs, making them well-suited for attacking a large intruder. At the same time, they are not too large, making them quick and agile. They are alert and aware of their surroundings of the home, making them good dogs for guarding a home and its perimeter. German Shepherds are safe around kids and love to be around them. However, German Shepherd puppies should be trained from an early age to play and socialize with children if the dog is intended to be around your children often. Also, it's important to train the kids to love and respect dogs and other pets, especially when the dog is eating and sleeping, and also when the children are alone with them. Our main goal is to provide your family with a solid family protection dog that is healthy, strong and well-trained. 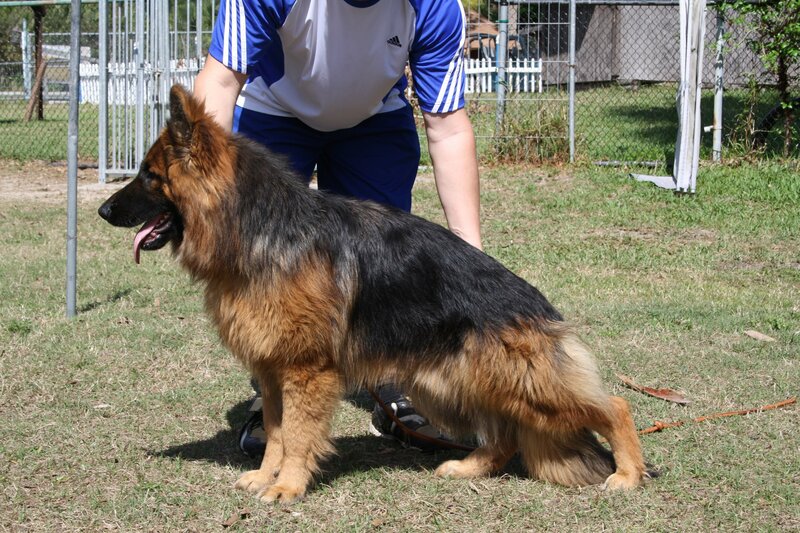 We also place emphasis on tempermant so that your dog will be a plesant and fun to be around. We know that you're not just looking for a pet, but a long-lasting friend to you and your children. That means your dog will be an exciting new member to your family, while also being well-trained so that you can go anywhere with a dog that is obedient and protective. In our Florida facilities, we raise only quality personal protection dogs. 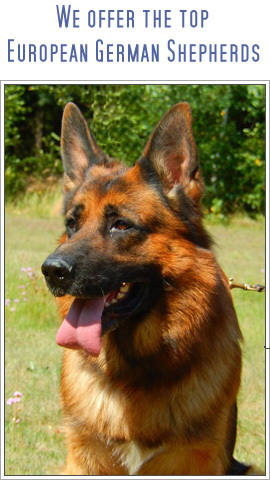 These personal and home protection dogs are usually German Shepherds that have been family raised and trained. They are raised from the best German or European bloodlines available. Many are third or fourth generation of our own personal Prufenpuden bloodlines. Contact FDA for details on our professionally trained personal protection dog. 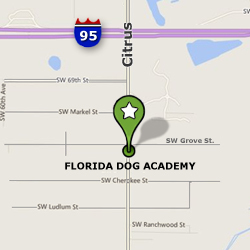 You may also request a puppy or dog to be trained to your exact specifications.